Growing up you may have always wanted to live up inside of your favorite tree. You may have even had the privilege of building your own very own tree fort. 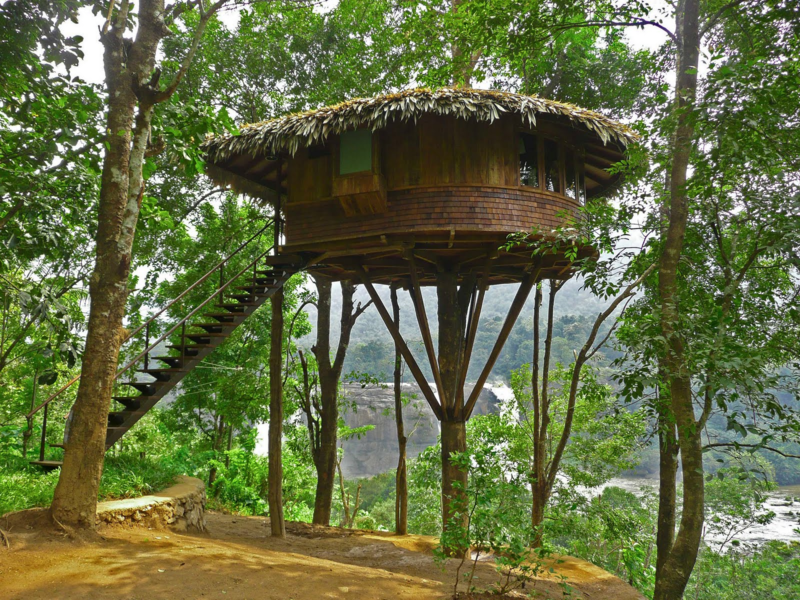 Now, living inside a treehouse is a real thing, and there are some incredible, amazing luxury houses that are perched up in trees. Why live on the ground when you can be up in the sky? 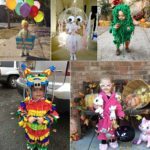 If you are thinking of building your own mini fort for the kids in the backyard, or want a full treehouse to live in, check out these photos below to inspire you! Living up in the sky in this little hut! It looks like an African inspired home, with straw mat rooftop and made entirely of natural wood panels around the house. It is fairly sturdy as you can see from the poles branching out from the trunk holding the house in place. And, you will definitely get your exercise in climbing up that staircase! This is the perfect, romantic treehouse fort that you can make right in your backyard! WIth its curved design and open walls and large windows, it is very inviting and bright. It’s perched right on that slanted tree with a beautiful deck leading into the home itself. 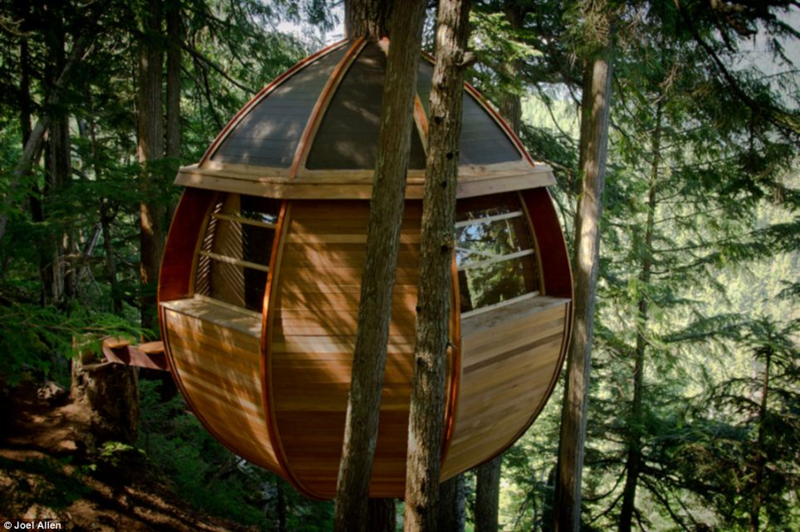 Check out this amazing, dome style tree house! If you’re not afraid of heights or the tree collapsing on you in strong winds, then this is for you! You will definitely be up there in nature with this pod style treefort house. The circular design is super modern, and it is built of strong, solid wood to last a long, long time. The honeymoon suite! 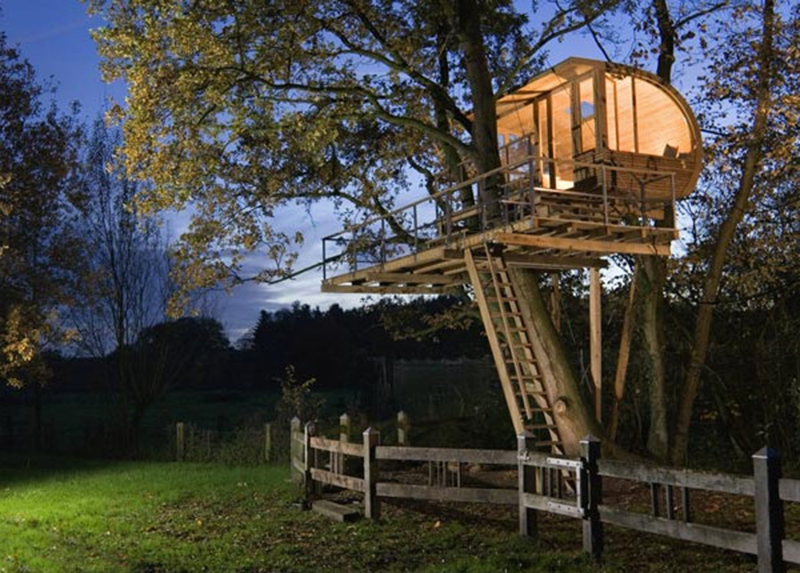 This treehouse is super romantic and is sure to leave a great impression on your company. It’s very simple in design, but with the string lights and hanging bridge leading up to the entryway, it makes it look very complex and detailed. The dream house nested up in a tree! 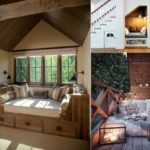 This split story house is perfect for somebody who wants to feel like they’re in an actual house rather than a simple tree fort. 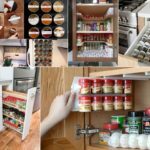 It is fully functional, and great for living in. 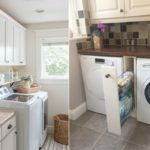 You can plug in all of your utility needs (e.g. electricity, sewage, etc). 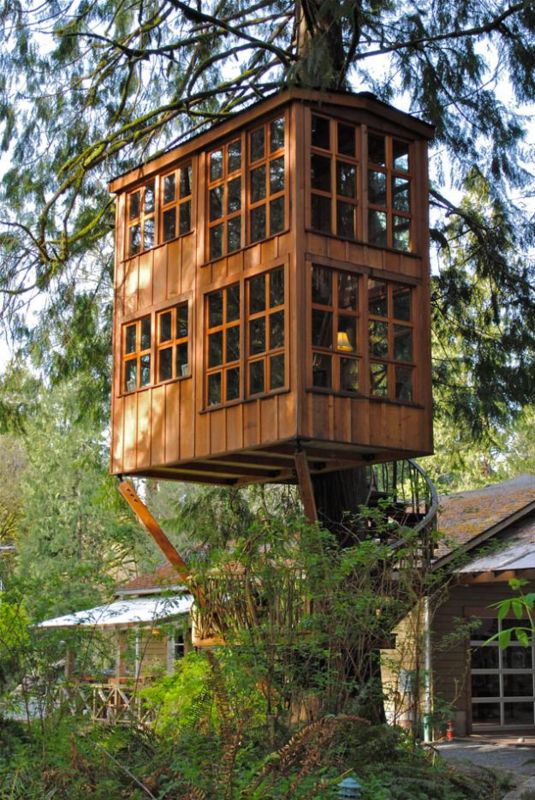 Would you live in a tree house? If you want a preview of how life would be if you dared to make the move to your treehouse, check out this documentary on the Atlantic here. This documentary interviews people who live in the houses themselves. 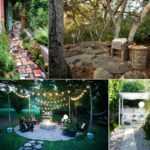 Generally the overall consensus is that treehouses aren’t just a kid thing, they can serve as beautiful adult and family homes as well. 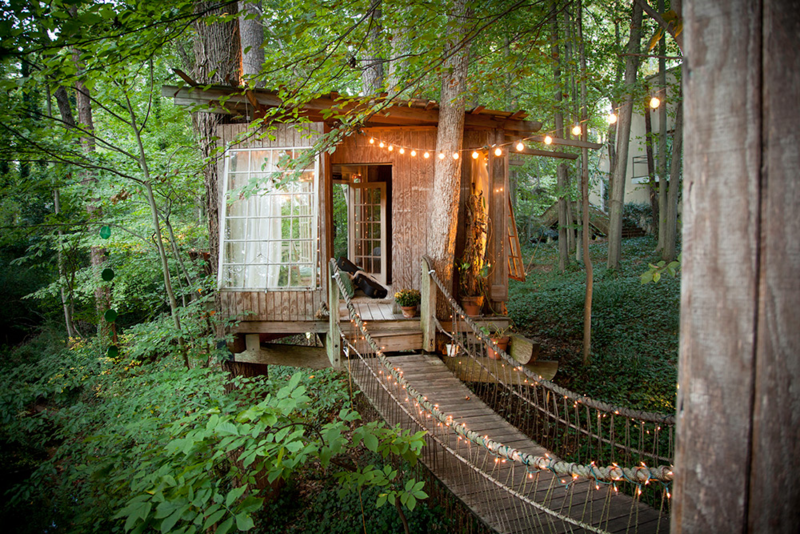 Check it out, and let us know if you would live in a treehouse in the comments!